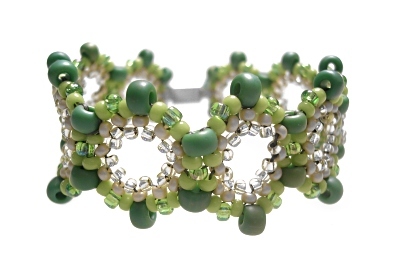 Bead and join motifs for an unusual range of jewellery. My Honeycomb Beadwork series began from a simple strip of right-angle beadwork and developed into a technique which can be used to make bracelets, necklaces and beaded beads. This complete 12 page step-by-step tutorial contains all the instructions, diagrams and photos you will need to make your own motifs. 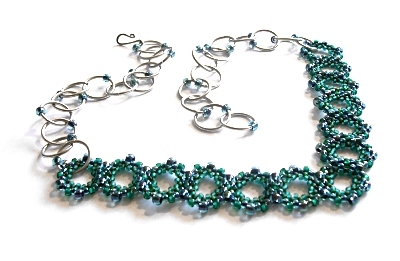 A basic knowledge of right-angle weave or peyote stitch may help you in beading these motifs but isn't essential as the instructions are detailed.